Although I live by myself, most of my recipes can be doubled or tripled: enough to feed a crowd or to last as leftovers for several days. 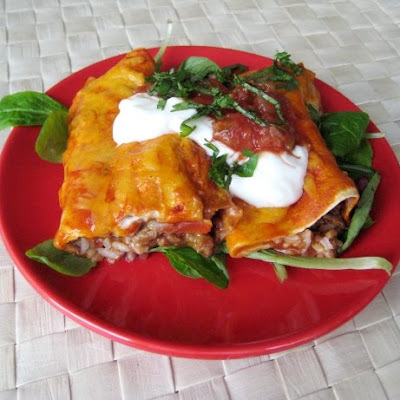 This Beef & Black Bean Enchiladas recipe serves as a perfect example. Using simple ingredients, you can make a hearty meal that takes minutes to put together and can be served for lunch or dinner. If you have kids in your household, I'm sure they'd be more than happy to help you assemble the enchiladas. 1. Brown the ground beef with lime salt, chili and cumin. Add 1/2 cup of enchilada sauce. Mix. 2. Add drained tomatoes and diced chili pepper to the rice. Mix. 3. To assemble the enchiladas, spread refried black beans on a tortilla. Top with rice and ground beef mixture. Top with cheddar cheese. Roll. 5. Add enough enchilada sauce to cover the bottom of 9x13 Pyrex dish. 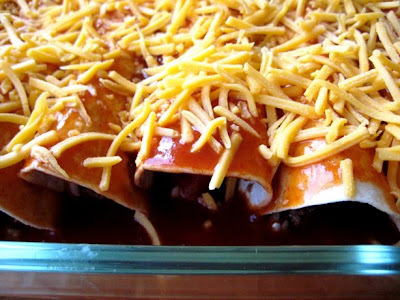 Once the enchiladas are rolled, put them into the sauced dish seam-side down. 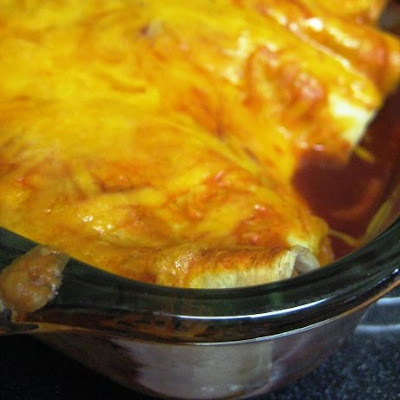 Top with the remaining enchilada sauce and cheese. 7. Serve enchiladas with sour cream, salsa, cilantro and guacamole (I wish I had guacamole, but I did not). Variations: the beauty of this dish is how versatile it is. You can substitute ground beef with ground turkey or chicken, or use leftover pulled pork. You can make the entire dish vegetarian! 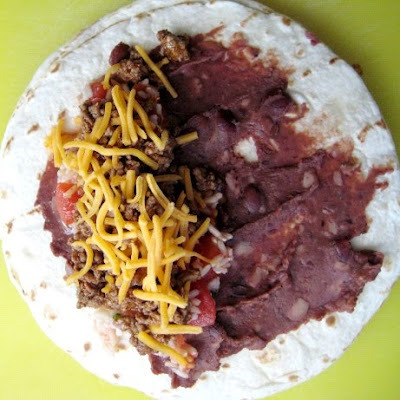 Of course you can also use any type of cheese you want and add regular black or pinto beans instead of refried beans. 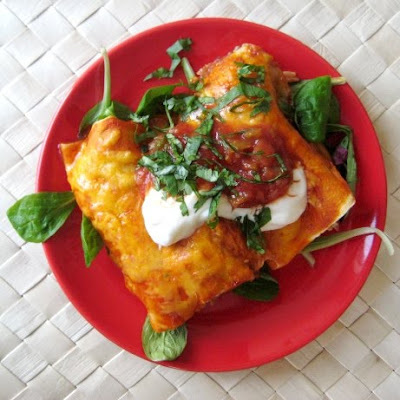 What's your favorite way to make enchiladas? Ooooh these look good. And the lime salt sounds intriguing. I always make my grandma's recipe for chicken ones involving lots of cans of stuff: olives, green chiles, cream of chicken soup, refried beans, etc. 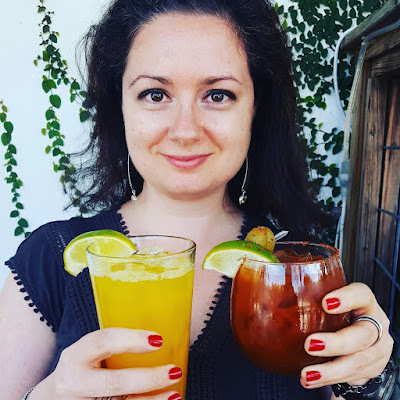 She calls them, "Enchiladas in a can." I'll have to try yours. They look nice and fresh! These look delicious. I am intrigued by the lime salt. I think a food expedition is in order. I have never made enchiladas before. But that doesnt mean I dont love eating them!!!! I honestly like them everyway I have had them! Delicious enchiladas, love the lime salt & cumin here! I love enchiladas. They are perfect for using leftover things we still have in the fridge and there is something so comforting about mexican food. This looks delicious! These look wonderful. 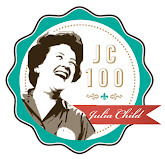 Will save the recipe and try it soon. Agreed - very nice enchiladas! Oh my god! Yum! I love Mexican food and your enchiladas look divine. oh wow yummy, and amazing pics, i write for an Organic Meat company would you like this to be featured with a link back to you? Your enchiladas look great! Love the filling...yum! The weather is getting so gloomy I have to cook this son. Lime salt??!! OMG, I have to find that! No one is a huge fan of them in family - my husband can take or leave Mexican food (I know, what is wrong with that!) and both my daughter and step-son think its too much sauce. Thanks for the reminder to make these! Those beans look delicious & so does that cheese smothered on top! The enchiladas look fantastic! I am a huge fan of Mexican food. Those enchiladas are killin' me!!! I've got to try this.